There is no better platform than Amazon to read reviews on products. We thought some of you may want to see how we have stacked up lately! Really great to use, easy to put together and even my wife who was a sceptic enjoyed the pizzas cooked on it. No More Pizza Delivery For Us. Works great! You must watch it because it cooks the pizza really quick. Extremely pricey for what it is. But would I recommend buying it? The answer is “Yes! !” (withe 3 exclamation marks). 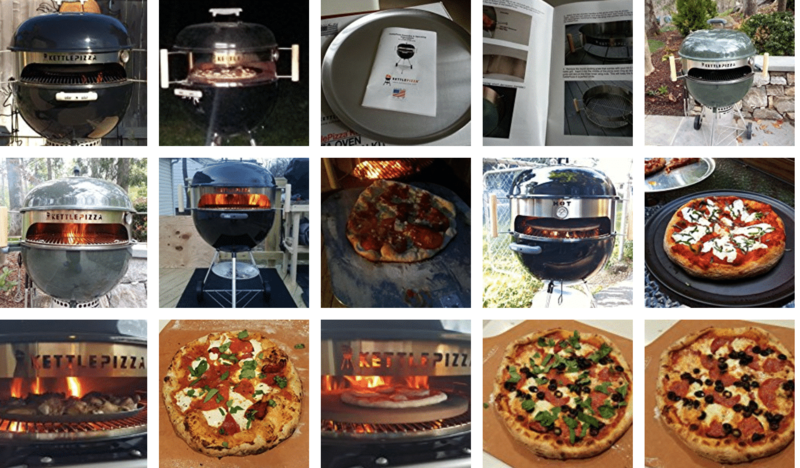 The Kettle Gas Pro Pizza Oven Kit is a game changer. It turned my Weber E330 into a great pizza oven. Pie came out awesome, took a couple of practices in rotating to get it down right. 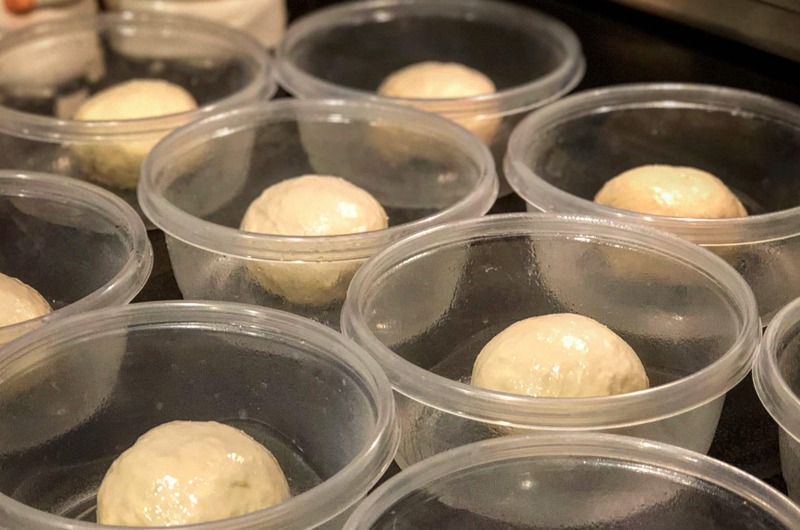 Initial bake time is 2 minutes, then every minute, I rotated 90 degrees, for a total of 3 rotations before I pulled it out, For the pizza dough, I used 2 cups of 00 flour mixed with 2 cups of King Arthurs organic bread flour. Crust came out crunchy, not chewy. In addition to pizza, I used it make vegetable kabobs. I set all the burners on 50%, and discovered that I did not have to rotate my vegetables. With the pizza kettle, it grilled the bottom and broil the top and it came out nicely done. But the ultimate game changer was when I sous vide my steak and then grilled it unde the pizza kettle. I dare say I find my steaks to match the high end steak eateries. I cannot believe the versatility of this product. But like I said, it is expensive. But I would purchase this in a heart beat. My next food research is to incorporate wood chips and see how my pizza and steaks turn out. In meantime, Happy Eats!! This is a wonderful item. We used it the night before Thanksgiving and it did take some getting use to. After one try, we caught on to how what exactly we needed to do. Extremely pleased with this overn. Not only it’s very well built but looks awesome on my webber grill. Excellent customer service by Kettle Pizza. It comes with easy to follow instructions manual. 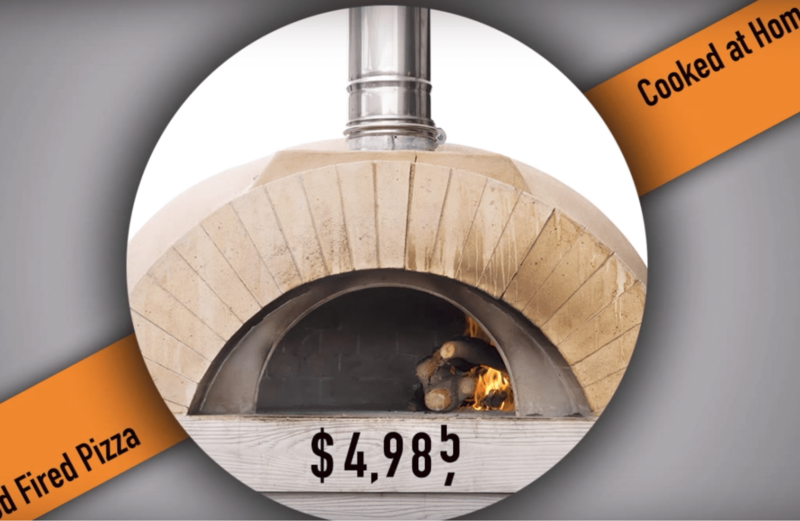 This attachment makes woodfire grilled pizza extremely easy. MUST have attachment for yout charcoal grill if you love pizza. Easy to set up and install, it is a great addition to any charcoal grill. It took a while, but we finally got to use it, but that’s what you get when you buy it in the middle of the winter. There is a bit of a learning curve for making you pizza on the grill; it takes some technique and you might burn your first crust as you figure out how to grill your pizza, but once you figure it out, it is a wonderful way to make pizza. It does it’s job perfectly and I highly recommend one. We had 4 of our friends over last night to try out our new “pizza oven”. It was a huge hit & posted all over Facebook this morning☺ We watched the video right before everyone was to arrive & discovered they recommended corn meal (so pizza would slide off & on the Peel) which we didn’t have. Called one of our friends brought & she grabbed some dry coarse batter mix which worked great. Make sure you have lots of charcoal! We are going to get an extra Peel & rotate the two of them. This made for a fun & delicious evening!